Your home is vulnerable to the elements until the roof is complete. The same thing can be said about the siding; until the siding is replaced, your home’s walls are exposed. Having both parts of your home replaced at the same time means you don’t have to worry about two separate instances where your home is vulnerable. Your new roof may be a lot more energy-efficient, but what if you combine the new roof with a set of fresh, energy-efficient vinyl siding? With both components replaced at the same time, you can expect a significant improvement on your home’s overall efficiency that you would otherwise not notice if only one is new. A fresh roof looks good on a home, but old siding can still ruin your home’s curb appeal. If both components are due for a makeover, then having them replaced at the same time means you can have a completely new-looking home with better matching roof and siding. Do you know what goes well with a fresh roof and new vinyl siding? New windows! Timing window replacement as you install a new roof and siding allows us to properly set the capping for your new windows. This greatly improves your windows’ ability to keep moisture and air from getting through the frames. Get the best roof and siding options from us. 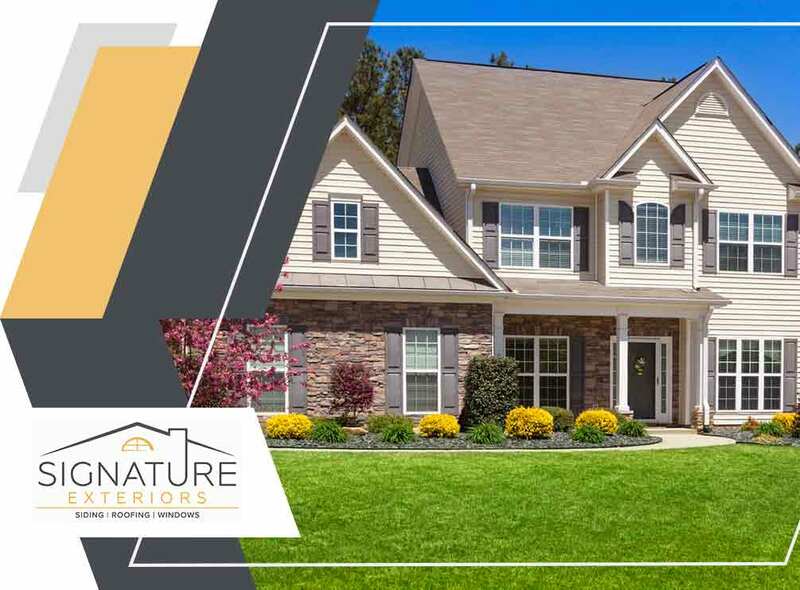 Signature Exteriors, your trusted roofer, is the leading roofing company in Connecticut. You can call us at (866) 244-8029 or fill out this contact form to request an estimate.